The Festival Frenzy that hits Edinburgh in August offers an immense variety of entertainment for all , whatever your age or interest you are sure to find something to delight you. The best bit is you don’t have to spend £££’s There are simply loads of Free Shows going on all over Edinburgh for adults, kids and grandparents to enjoy! 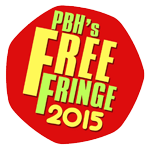 Held around the city in Pubs & Clubs there are three organisations who have taken on the mantle of the “Free Fringe”: the Laughing Horse, Peter Buckley Hill’s Free Fringe Comedy, and La Favorita Freestival. You’ll find daily shows with comedy, spoken word, theatre, cabaret and live performances, across a variety of venues. Royal Mile is the Hub of the Festival Fringe, known as ‘Venue 10’ you’ll find street performers and acts previewing their shows every day here. There’s plenty of cultural free shows for all ages to enjoy. Performers and artists showcase their acts here and there’s loads of childrens entertainment too! This is a great area to enjoy the festival buzz and soak up the Fringe atmosphere too in one of the many eateries. There is a completely eclectic element to the Forest Fringe, with random performances this is a mini festival in itself! You’ll find a varied programme of events including interactive shows, live performances with screenings, live art performances, talk-ins, signed performances for the hard-of-hearing, and random experiences, such as a bake-in and possibly even a real wedding!! It’s unpredictable and wonderful shows will delight. 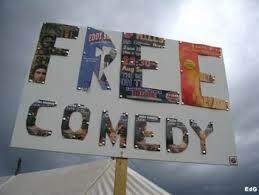 Every show is free , you are able to book in advance on their web site or simply turn up and see what’s on! The Arts Festival is mainly free and offers a break away from the excitement of the shows where you can view and enjoy some great works of art and listen to artists talks and enjoy screenings. There are also many guided tours by artists , a great cultural experience. Exhibitions are found in around 27 venues from major art galleries such as the Scottish National Gallery and Gallery of Modern Art to artist run spaces. BBC @ Potterow is the place for personality spotting! Run by the BBC this popular pop-up venue has various tents open to the public for free, whether or not you are going to one of the broadcast shows or live performances that take place daily here throughout the Fringe. You can get an insight into the world of broadcasting & performance with comedians, presenters, journalist and producers in Q&A style panels. Many well-known personalities of the small screen can be found here each day, from political pundit Andrew Marr, to impersonator Rory Bremner, to comedian Paul Merton. The Mela is a multi cultural World Music and Dance Show, held at Leith Links 29th & 30th August. There is a small admission fee of £4, under 12’s go free, but once in thats it! You can enjoy a whole day’s colorful entertainment here in one place. In it’s 20th year you can enjoy international dancing and music with acts from around the Globe from Africa to Scotland! The Mela includes music on two stages, a kidzone – with visual artists, cratfspeople, story tellers and creative arts workshops & performances , a dance fest, a market, and “global food village”. There is also a Mela fashion show. A Great multicultural experience for all ages to enjoy to the max! 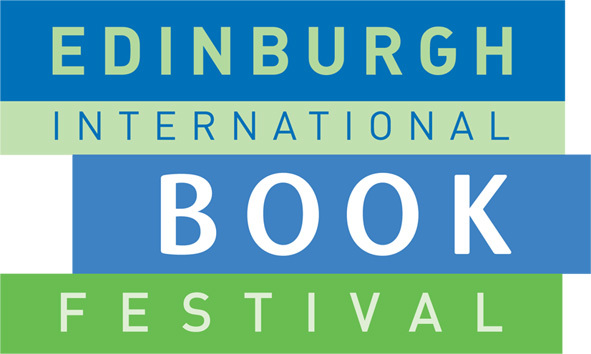 Edinburgh Book Festival is cultural, educational, entertaining for all ages, inspiring and a great place for relaxing with a Wee Dram! Charlottes Square Gardens gets transformed into one Giant tented village for the Book Festival! You’ll be delightfully entertained with a mix of storytelling, comedy & music at the Book Festival. The philosophy here is ‘Entrance is FREE and EVERYONE is welcome’ , although there are paid events going on inside there are also many free inspirational talks and debates, and plentiful kids activities too.. The renowned Baillie Gifford Children’s Programme explores diverse cultures, the natural world, science and history, and encouraging children to play with words. This is a great spot to stop for a coffee or a beer or a wee dram in the Guardian Spiegeltent and settle for some chill out time while the kids are entertained at workshops too! There is mini-festival called Jura Unbound which takes place in the Guardian Spiegeltent from 9pm until 11pm daily and offers authors the opportunity to try new approaches. You can enjoy a fabulous mix of literature, music, entertainment and of course a good glass or two of the fine stuff. It is absolutely free!! Watch the skies get painted an array of colours with this amazing fireworks display as it adorns the skies of Edinburgh on the last day of the festivals, 31st August. A simply Spectacular event to be enjoyed free by anyone from one of the many vantage points. Whether you pick your spot up close on Princes Street, Waverley Bridge, or Castle Street to Calton Hill, or from residential New Town roof-tops to further afield from the slopes of Holyrood Park. You simply can’t miss the display! Inverleith Park‘s free Family Viewing Area is also popular. It has good views of the castle and a live video link and sound system to capture the Concert in the Gardens that accompanies the fireworks display. All you need is a radio and a rug and to look upwards! The Display will start at 9pm, and lasts for 45 minutes. 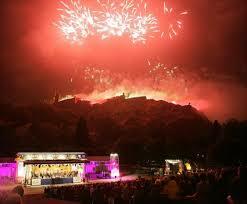 The Scottish Chamber Orchestra will play under the Castle , which you do need to buy a ticket for if you wish to be at at the Ross Band Standin Princes Street Gardens, but the majority of spectators tune into local radio to hear the live broadcast whilst they watch the skies dancing with colour. 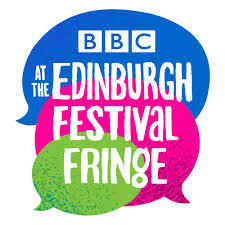 So with so much Free Stuff we know you will want to be there and we have the best place to stay on a budget… Book your stay at Edinburgh Festival Camping, You can Bring Your own tent, take the car to your pitch, Bring a campervan or caravan, and watch free show previews at breakfast all on site! Enjoy the Free Festival Fringe and stay from only £15 per night for a great value holiday!